The trailer contains excerpts from various Mofy episodes. 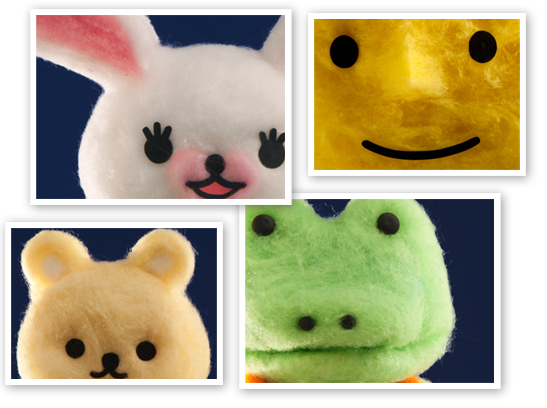 Meet Mofy and friends and enjoy the soft fluffy characters and scenes! 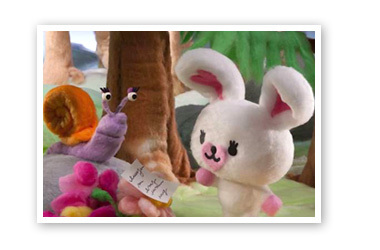 Mofy is a full stop frame animation in Full HD. Nick is one of British television's most experienced children's TV executives. He started his career in Children's Television at BBC in 1974, and since then he produced and managed productions up to 300 hours a year for clients including TVAM, Granada Television, Central Television, BSkyB, Nickelodeon, and the BBC. In 1996 Nick joined Five as Controller of Children's Programmes and later Nick created and developed the highly successful preschool brand "Milkshake" for Five. Since October 2010, Nick is active as a Children's Media Consultant/Writer/Director and general TV Odd Job man! Robert Vargas is a two-time Emmy Award-winning writer and producer based in Paris and New York. He received the 2009 "Outstanding Writing for Animation" Daytime Emmy for his work on "Word World" which is broadcasted in the U.S. on PBS Kids. In 2008, he won an Emmy for his writing and directing contribution to the "Main Title Design" of "Word World". Robert began his career as an animator at Georges Lucas' Industrial Light and Magic. Later he served as storyboard supervisor for Bill Cosby's Emmy Award-winning "Little Bill" (Nick Jr.), Playhouse Disney's "Little Einsteins", and the Nick Jr. series "The Wonder Pets!". In 2007, he held the posts of story director and staff writer for PBS Kids' "Word World" as well as freelance staff writer for PBS's "Seemore's Playhouse" before being named head writer and co-executive producer of "Word World Jr.". Robert is the cocreator/producer of the Nick Jr. pilot "Lolly and the Pipsqueaks". Mofy is a stunning stop-motion animation in full HD produced by Misseri Studio in Florence, Italy, and the first in the world to be produced entirely in cotton! The models and sets are painstakingly created out of light, airy puffs of cotton, creating a warm and soft atmosphere that will make even the youngest preschoolers feel safe and cozy.